When potential buyers ask us about LST radiator covers, they often want to know whether radiator covers affect heat output. This is a particularly important issue for schools, where heating regulations state that school classrooms should be at least 18⁰C, otherwise staff and students are liable to be removed from educational environments until adequate heating solutions are provided (Workplace Health, Safety and Welfare Regulations 1992). Not to mention recent news updates warning of colder winters and the need for quality heating in schools. The Guardian predicts that temperatures will be well below freezing before the end of November. It’s vital that you’re well equipped for heating solutions that are both temperature adequate and safe. But how can safe surface temperature radiators provide satisfactory heating while minimising injury risks? You might find it surprising to learn that heat output is barely affected at all by our LST radiator covers. Contour provides both quality heat output and safe-to-touch surfaces in a range designed for optimum heating in schools. So, How Is Heat Retained? While it makes sense that covering your radiator would restrict the flow of warm air or block circulation, the reality is a different matter. Contour LST radiator covers have an interior coating of Kingspan foam. This reflects heat that would otherwise be lost back into the room. 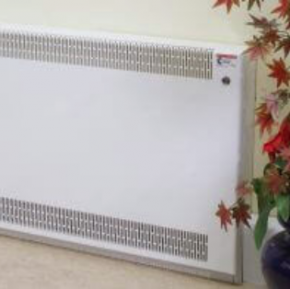 BestHeating concludes that around 45% of heat that would otherwise be lost can be retained with a well-insulated radiator cover. While traditional radiators, electric radiant panels and underfloor heating are slow to warm up – underfloor heating taking as long as eight hours sometimes – a Contour radiator heats to temperature within ten minutes, an efficient, durable heating solution for your school. Datasheets for Contour LST outputs are available here.